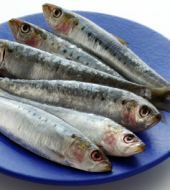 “Omega-3 fatty acids benefit the heart of healthy people, and those at high risk of — or who have — cardiovascular disease. Increasing omega-3 fatty acid intake through foods is preferable. However, coronary artery disease patients may not be able to get enough omega-3 by diet alone. These people may want to talk to their doctor about taking a supplement. Supplements also could help people with high triglycerides, who need even larger doses. The availability of high-quality omega-3 fatty acid supplements, free of contaminants, is an important prerequisite to their use. A early study of 1,800 Western Electric Workers that began way back in 1957 showed that regular meals of fish lowered the overall risk of heart disease by 38% and of heart attack by 60% compared to men who ate red meat. So how do omega 3 fatty acids actually help your heart? It seems that Omega-3s greatly reduce the formation of blood clots. This is important because most heart attacks result when blood clots get stuck together in the blood vessels, blocking the passage of blood to the heart. They may also prevent heartbeat abnormalities, thereby protecting against sudden cardiac arrest, a major cause of death from heart disease. Omega 3 fatty acids also lower triglycerides, a type of fat in the blood which, when elevated, may also increase the risk of heart attacks.